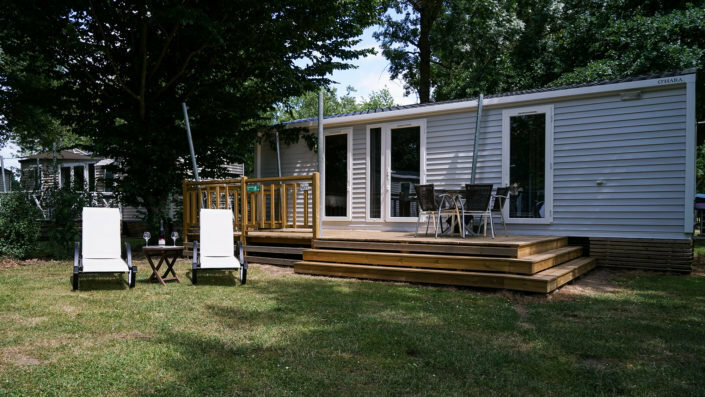 Welcome to The Domaine de la Brèche, 5 stars Holiday resort at Varennes sur Loire, upstream from Saumur and between Angers and Tours in the district of Maine et Loire and the region of Pays de la loire. 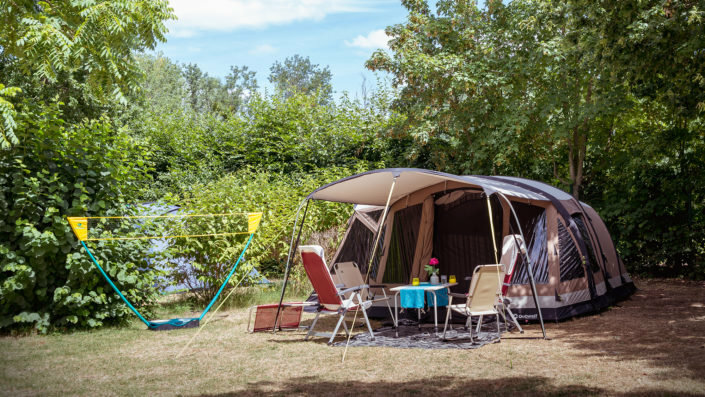 Wether you are a couple, a family or a group of friends, you will be our guest in The Domaine de la Breche 5 stars Campsite situated in the Loire Valley for an enjoyable and relaxing holiday. Discover our different types of accommodation in detail in our campsite. Traditional camping pitch for a natural stay with your tent, or your motor home. For a couple or a family, choose your accommodation from 1 to 3 bedrooms, 1 to 6 people or a premium residences from 2 to 3 bedrooms, 4 to 6 people for an outstanding comfort or a VIP accommodations for a luxury holiday in Loire Valley. Take place in your comfortable accommodation and discover the Anjou region, Saumur, Tours and Angers, Do not forget the wonderful castles of the region Loire Valley. 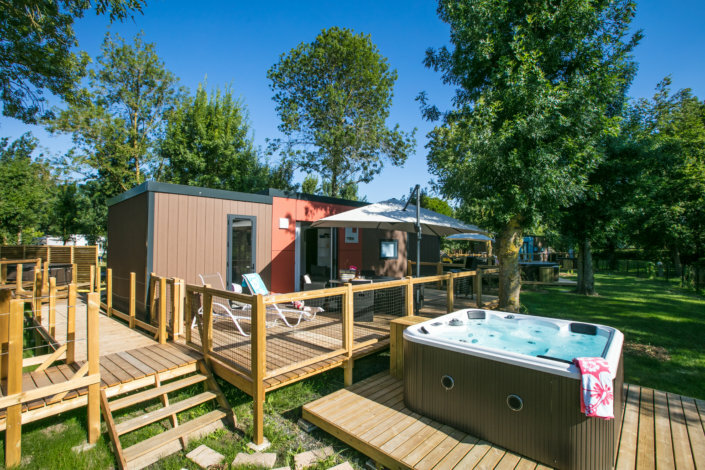 Looking for a luxury campsite with swimming pool in Loire Valley ? Make a jump in clear water or lie down for a tanning session on one of our sun beds under our huts which surround the water park. Located in the heart of the Loire Valley, 10 km from Saumur, the 5-star campsite Domaine de la Breche offers an ideal location for visiting the Loire Valley castles. Most of these world-famous castles built during the French Renaissance are located in the Loire Valley, a UNESCO World Heritage natural region, where our outdoor hotel welcomes you. The Val de Loire region is also known for its bike rides along the Loire and its many museums to visit. 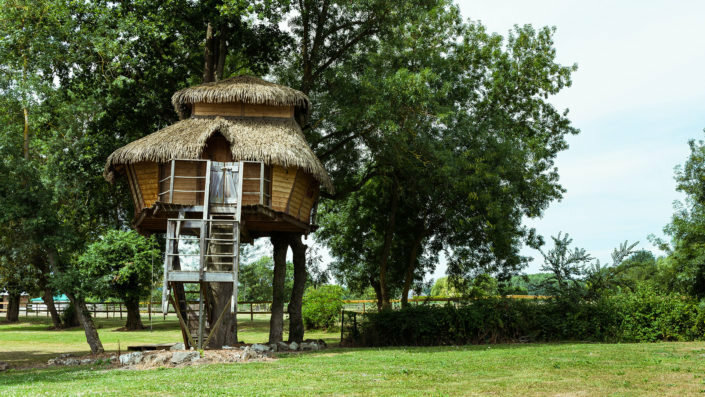 By staying at the Domaine de la Breche in Varennes-sur-Loire, you will make a backward leap more than 500 years into the past. You will enter ancient fortresses converted into pleasure castles which were the places of residence of Philip Augustus, Francis I, Catherine de Medici, Diane of Poitiers and other great historical figures like the dukes of Anjou, the Kings of France and the House of Plantagenets. Less than an hour away from the campsite, several castles of the Loire, some of which have been raised to the rank of “royal castles”, arrange you a date with the history of France. From the Château de Saumur to those of Montreuil-Bellay and Montsoreau in the Maine-et-Loire, including the magnificent Fontevraud abbey, Chinon Castle and also those of Ussé, Villandry and Amboise in the Indre- and Loire, all of them form part of the most prestigious and famous castles in France. Their own history and architectural qualities make them unique and extraordinary. Angers: this castle dominate the city on its rocky promontory. Brézé: A castle with the biggest underground in Europe. Ussé: the fairy tale castle in the Loire Valley. Gizeux: Dress-up guided tour for children every day. Langeais: Provides a perfect example of a late medieval castle. Villandry: Renowned for the harmony of its architecture and its gardens. Azay-le-Rideau: Honoré de Balzac said it was like “a faceted diamond set in the Indre”. Amboise: architectural jewel of the Renaissance, dips its majestic silhouette into the Loire. The castles of the Loire are only the visible part of the rich cultural and natural heritage that the Loire Valley contains. Less than 5 km from the campsite, the city of Saumur, sub-prefecture of Maine-et-Loire, is a great example. Famous for its castle and its cavalry school of the Cadre Noir, the city of Saumur is home to nearly 50 buildings classified as historical monuments and to the house Ackerman, famous for its production of wines. Impossible to visit the old province of Anjou without strolling in the streets of Angers and in its magnificent castle and its wall hanging of the Apocalypse, as well as in its many museums (museum of natural history, museum of fine arts, David d’Angers Gallery). Too often overshadowed by its royal castle, Chinon in Indre-et-Loire has also much more to offer than a fortress. 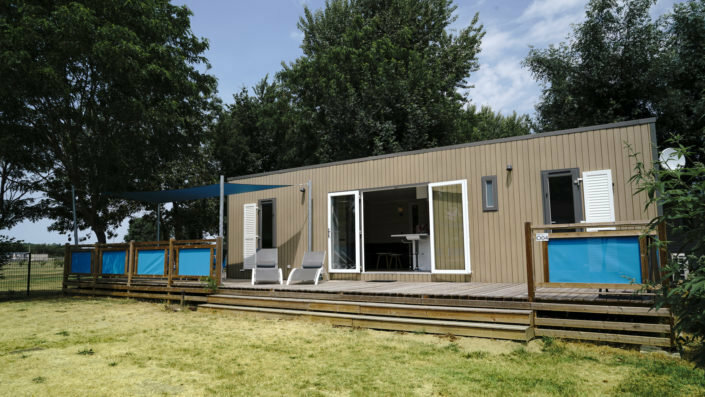 Located less than a 10 minutes drive away from the campsite, this town of 8,000 inhabitants watered by the Vienne was built near a large national forest, in the regional park of Loire-Anjou-Touraine. Take the time to stroll through the charming Saint-Etienne district and the canonical district, where stands the former collegiate church Saint-Mexme reconverted in cultural center. Tours, prefecture of the department, also has several arguments to retain the visitor. The Indre-et-Loire is also a land of authentic landscapes, consisting mainly of hills and forests, conducive to the practice of outdoor activities such as hiking, horseback riding, mountain biking, fishing, canoeing and boat trips. Tours: With many parks and gardens, the old Tours is ideal for shopping and strolling. Angers: With his castle perched on a rocky promontory. Saumur: Saumur is specially known for its School of cavalry, its castle, its history and its wines. Amboise: It is often said that Amboise has the most Italian flair of all the Loire Valley cities. Doué la Fontaine: famous for the Bioparc, troglodytes and growing rose.